C. Bechstein upright and grand pianos from the turn of last century are quite different to the new Bechstein pianos of today. There is a vast array of pre-owned, quality restored uprights and grands available, dating back to the 1890's/1900's. Whether you are looking for the unique character and beauty of a traditional, older instrument, or the consistency and form of a brand new Bechstein, The Piano Gallery will be able to help. We pride oursleves in being one of the largest suppliers of pre-loved pianos, and we always carry a dozen or more Bechstein pianos in stock. Prices can start from £2000. The Bechstein piano is a maker of top quality upright and grand pianos. The founder Carl Bechstein started making pianos in 1853 at his workshop in Behrenstrasse. The reason behind manufacturing his own pianos was because he had innovative ideas to create a piano that was designed for both energetic and vigorous playing as well as subtle and delicate. In 1857 Hans von Bulow performed on a Bechstein concert grand, which caused him to become a keen supporter of the Bechstein piano. Later Hans became the Berlin Philharmonic’s first conductor. London 1885 after Queen Victoria was supplied with a grand piano, the desire for the pianos grew which lead to a new Bechstein branch. In 1901 the Bechstein Hall opened in Wigmore Street, London, and would later become “Wigmore Hall’ due to its expropriation in the Second World War. Bechstein became a joint-stock company in 1923. However, C. Bechstein was still maintaining its innovative ideas and striving to broaden the techniques of piano making in 1930. It produced the advanced Neo-Bechstein- the world’s first electric piano, together with the Nobel Prize laureate Walther Nernst and Siemens. From 1932 the Great Depression had a profound effect on the company, with a decrease in production and a drop in prices. Added to this, the emigration of the Jews during the Holocaust meant that it lost a considerable amount of customers at this time; Bechstein being a highly favourable instrument among the sophisticated tastes of the Jews. In 1945 the production facilities of Bechstein were destroyed by the bombardment of British and American forces during the Second World War, and thus the company moved to the American sector. Bechstein was then confiscated by the US administration. In 1953 Bechstein’s centennial was celebrated by the Berlin Philharmonic under William Backhaus and William Furtwangler. Following this, Bechstein saw committed customers such as Leonard Bernstein, Jorge Bolet, Sergiu Celibidache and Wilhelm Kempff. When the Berlin Wall was constructed in the 1960s Bechstein produced only 1,000 instruments annually due to the decline in Berlin’s population. The 125th anniversary of Bechstein was celebrated in 1978, with appearances from Alfons and Aloys Kontarsky, Shura Cherkassky and Christian Zacharias. Over the course of 1986 C. Bechstein opened new production facilities in Berlin-Kreuberg as well as taking control of two previously Berlin-based companies, Euterpe and W. Hoffmann. 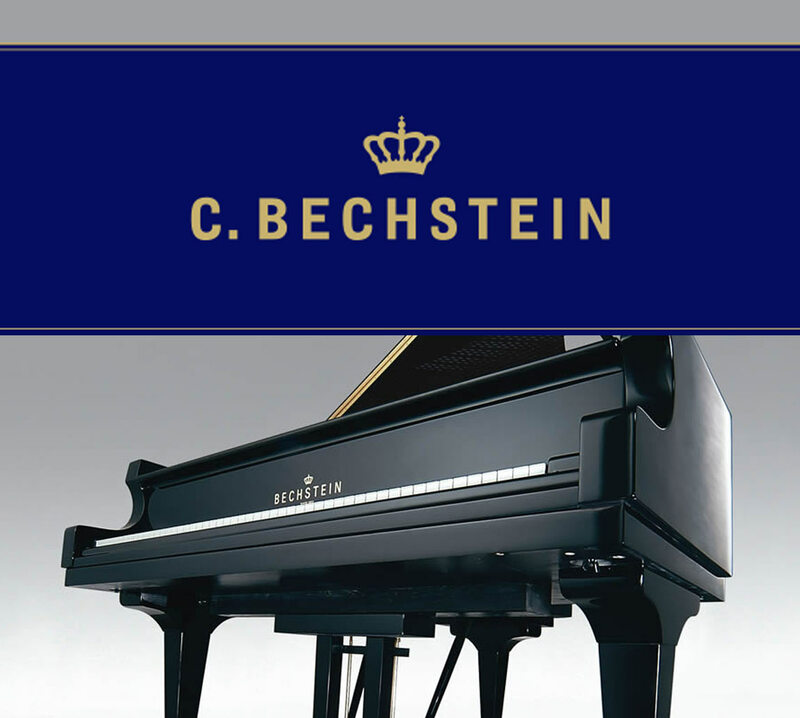 Bechstein went public in 1996, which paved the way forward in relation to the increasing globalisation of markets. In 1999 the first C. Bechstein Centre opened in Berlin. In 2003 Bechstein formed a partnership in co-operation with the Korean musical instrument manufacturer Samick. In order for C. Bechstein to meet global market demands, Samick took control of the marketing for the company in key overseas markets. In 2005 ‘Berlin Bechstein Piano Co. Ltd.’ was founded by C. Bechstein and Samick in Shanghai, China, manufacturing instruments that were exclusively affordable to the Chinese market.